Guidelines for the report are now available here. The program page will be updated with pdfs of talks. For those participants arriving in Reykjavik BEFORE the 15th, the departure time from the Reykjavik Bus Terminal has been changed to 11.00 on Sunday 15.08. If you have any problems or delays, please call Hildur Olafsdottir -- cell phone +354 6926667. The summer school is now full! About the volcanic eruption in southern Iceland: Please note that the activity of Eyjafjallajokull is now over. The daily life in Reykjavik or Hólar has never been affected by the eruption. We are sorry to announce that Ali Shokoufandeh is not able to make it to the summer school. The Program has been updated. Sparse modeling is a form of dimensionality reduction which has recently received an increasing amount of attention in several research communities including statistics and machine learning as well as signal analysis and functional analysis. Sparsity is a general tool which can be applied in very different problems such as shape analysis (with applications both on the medical and technical image analysis side), noise removal and inpainting in image processing or compression in signal analysis, to mention a few. Applications of sparsity in image and signal analysis include a wide range of topics and techniques, such as image reconstruction, image segmentation, super-resolution, compression, linear regression, feature extraction, graphical model learning, sparse PCA, compressive sensing. 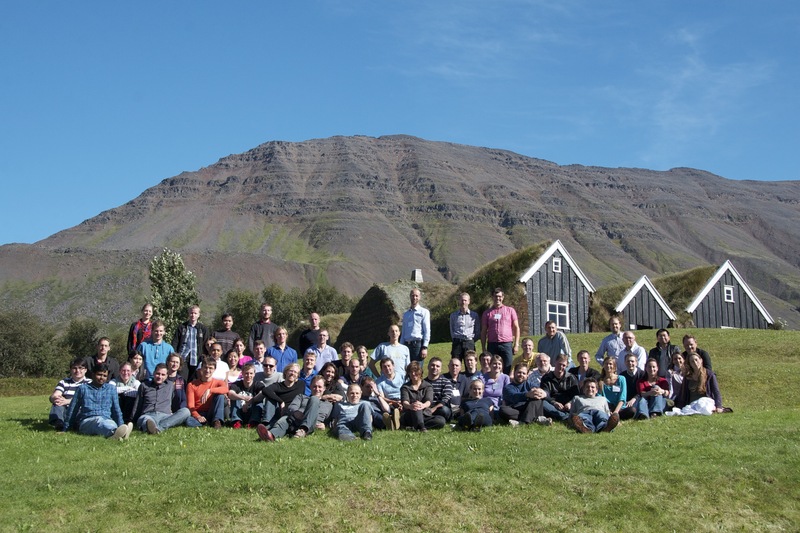 The course will consist of lectures given by members of the research groups at IMM-DTU, DIKU and University of Iceland as well as invited speakers with expertise in the field of sparse representations and encoding. Ph.D. ECTS: You will get 3 ECTS just from participating. You can get an additional 2 ECTS if you present a poster at the summer school summer school and write a small report on how the topics covered in the course relate to your own phd project. That is, in total you can get 5 ECTS for the summer school. The summer school is organised in collaboration between the Image Group, Department of Computer Science, University of Copenhagen, the Image Analysis and Computer Graphics section, DTU Informatics, Technical University of Denmark, the ITMAN graduate school programme at DTU Informatics, the Graduate School of Science University of Copenhagen and the Signal Processing Group, Faculty of Electrical and Computer Engineering, University of Iceland. Last years summer school on Hven.